Fall is not only a great season to update your wardrobe, but it is also the perfect time to change up your beauty regime! In honor of the start of autumn, I have decided to host a giveaway! I will be giving away seven beauty products from three newly discovered brands that I have been loving as of late, namely Bioderma, City Color Cosmetics and Burt's Bees. Pictured below are the prizes you could win! To enter this *international* giveaway, fill out the handy box provided below! You MUST follow my blog on GFC. You MUST follow my blog on Bloglovin'. You MUST also provide your email address. Increase your chances of winning by completing the additional entries listed in the Rafflecopter below! *Entries will be verified prior to announcing the winner. This giveaway will run until November 10th, 2013. The winner will be contacted by email and I will also be announcing the winner on my Twitter and Facebook pages. Hi, I think I'm the 1st one to enter. :) Thanks for the giveaway. I'm most excited to try out the lip balm. I am most excited to win City Color Cosmetics Dual Lip Wand in Blush. I'm most excited for the Bioderma since I'm having a heck of a time finding it! I'm most excited to win Bioderma Sensibio H2O Micellar water ! The City Colour Cosmetic Dual Lip Wand! the City Color Cosmetics Shadow Primer in Pearl White! i'm excited about Benefit That Gal Brightening Face Primer! Benefit's That Gal Primer Sample! I'm excited for the Benefit Highlighter sample. All,because we don't have them in my country! I'm most excited about the Bioderma Sensibio H2O Micellar water. Thanks for hosting such a great giveaway! 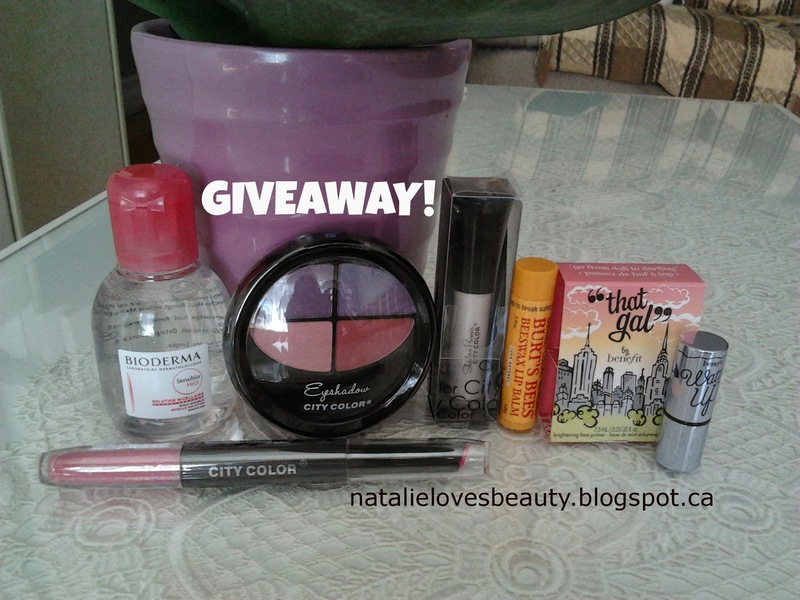 Thanks for the giveaway ~ every prize is lovely, but I would be most excited to win the City Color Cosmetics Dual Lip Wand in Blush. Probably the Benefit That Gal Brightening Face Primer. I've never tried their primer, but I love everything I've tried from them. Their mascara, tints and highlighter are great! Please stop by and link up to my first ever blog hop! that gal that gal ...is me!!! it is perfect!! I am most excited about the City Color Cosmetics Eyeshadow Quad in Warm Purples. Your blog is great! Awesome giveaway too. I'm a new follower through Bloglovin. Probably the Bioderma - I've never tried it! This is a wonderful giveaway! So generous :) I'd be most excited to try the Benifit primer! i like City Color Cosmetics Dual Lip Wand in Blush!!!!!!!! Never tried City Color Cosmetics. I am most excited to win the bioderma miscellar water!!! i'm most excited to win the bioderma! i've heard a ton of good things about it but have never tried it. thanks for the giveaway! 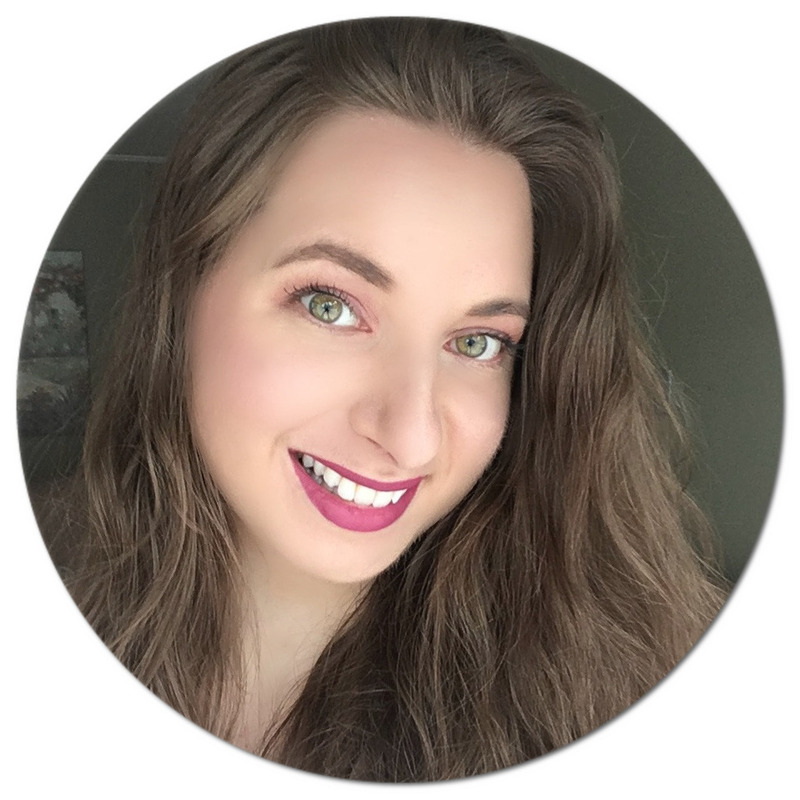 i found your blog through ashlee's (the makeup wonderland) blog hop! excited for future posts! The Burt's Bees Beeswax Lip Balm. I love it! Benefit What's Up! Highlighter, I want to try! Probably the Bioderma as I've never tried it! I am most excited to win the Benefit highlighter ! I am most excited to win the Benefit That Gal Brightening Face Primer! looks amazing!! the City Color Cosmetics Shadow Primer in Pearl White!!!!!!! The eyeshadows and the Benefit samples!! I'm most excited to win the bioderma sensibio water since i've heard so many great things about it! I'd like Bioderma Sensibio H2O Micellar water! Im most excited to win the burts bees lip balm as i have wanted one of these for a while! It all looks good tho, thanks for the chance.. I'm really interested in the Benefit That Gal Brightening Face Primer. I can't really find or actually afford a primer in my country. Best wishes! Thanks! I want to try Bioderma and Burt's Bees, as I don't have them in my country. Thank you for the giveaway! Hope to win! Benefit That Gal Brightening Face Primer,I love Benefit beauty products! thank you for the great giveaway! I would love, love, love City Color Cosmetics Eyeshadow Quad in Warm Purples! Thanks for this giveway! I'm most excited to try the Bioderma Sensibio H2O Micellar water, I have heard a lot about it! I'm excited by the benefit brightening primer, but everything looks great! i love Biothrma products,but all of them are really great!!! really excited with the benefit samples! I am super excited about Burt's Bees lip balm! I'm most excited about winning the Bioderma! I've heard a lot of great things about it and would love to try it out!